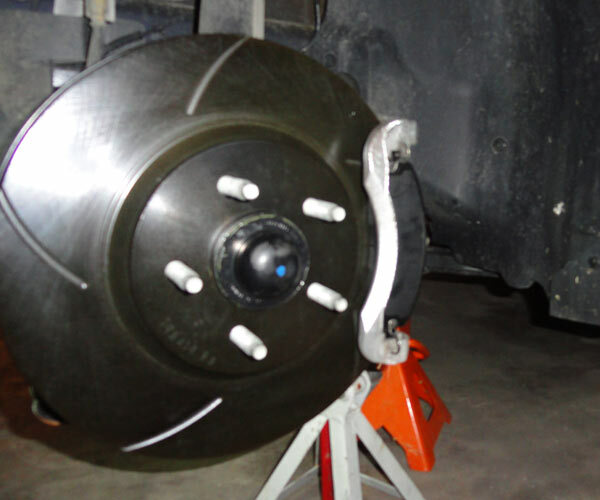 Brakeperformance.com Slotted Zinc Coated Brake RotorsSince I will be auto-crossing I wanted to get a set of slotted rotors to help keep the brake pads in better shape. 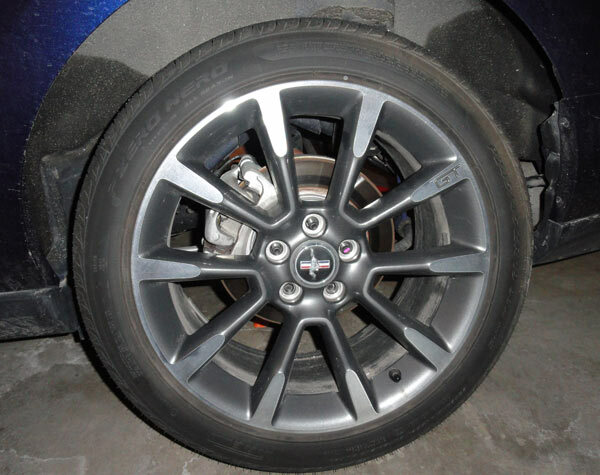 These Slotted Zinc Coated Brake Rotors from BrakePerformance.com were just the ticket. 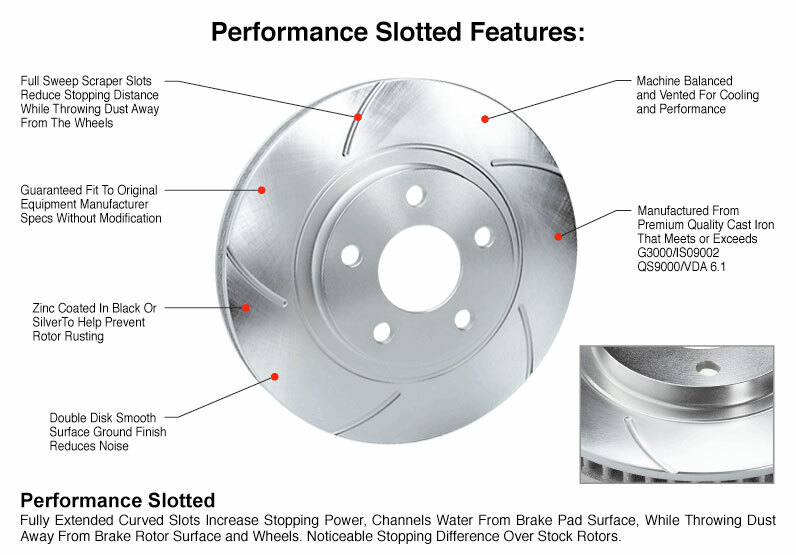 Today pads do not gas as much as brake pads in the past, so slots are not a needed feature. The Zinc coating helps keep the rotor from rusting. 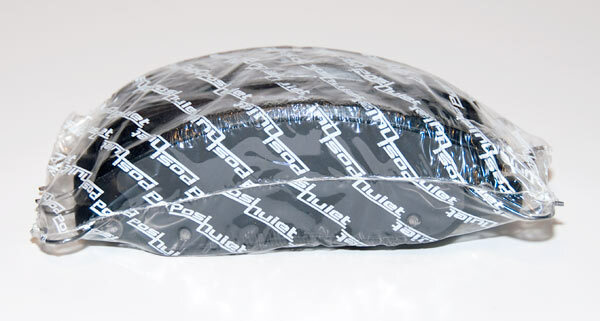 It is electrostatically applied. 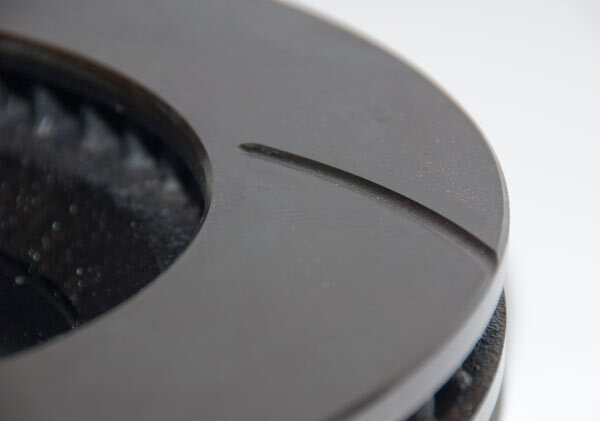 The Zinc coating process is a very extensive hand applied operation that is not sprayed on like other inferior coaters. 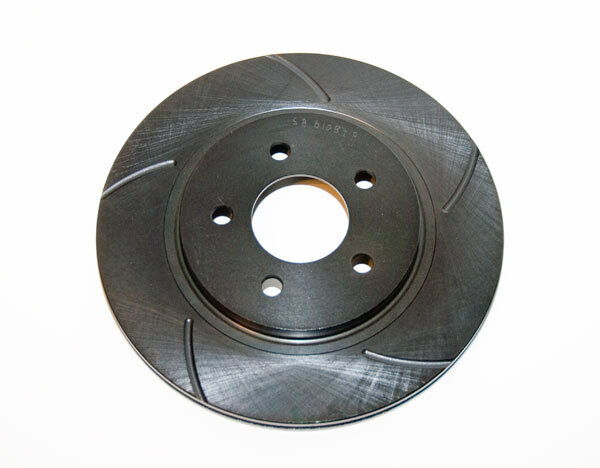 Each Performance Brake Rotor is immersed in different solution tanks in the coating process. 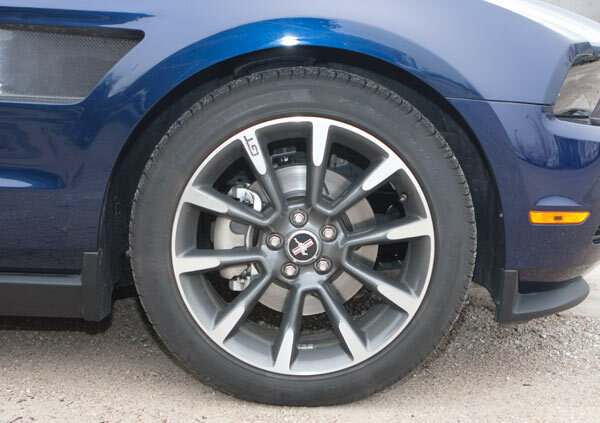 The final result is a thick protective coating that will help prevent rusting and give you a clean and custom look. 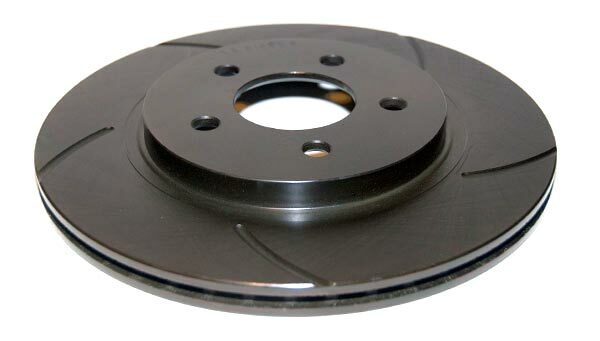 To read more about these Slotted Brake Rotors check out this post. Rotor out of the Box. These things look fantastic. Close up shot on the inside face. The other side of the rotor. 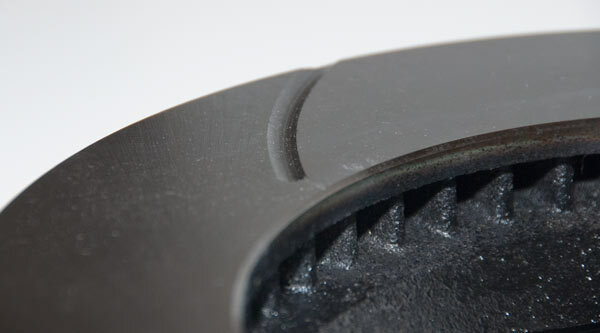 Close up of the cooling vanes. 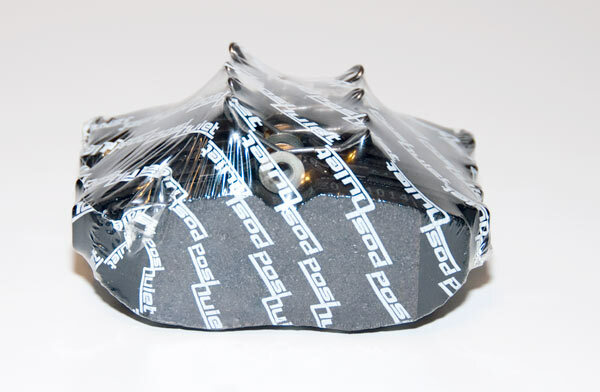 The rotors were packed and shipped well. 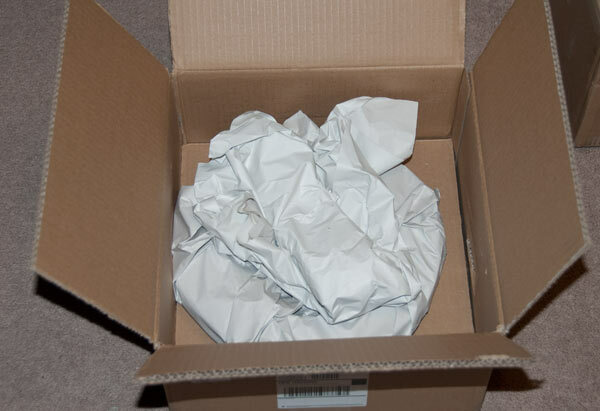 You can tell a lot about a company by the way they pack and ship their products. I was impressed. The new Brake pads for the front. 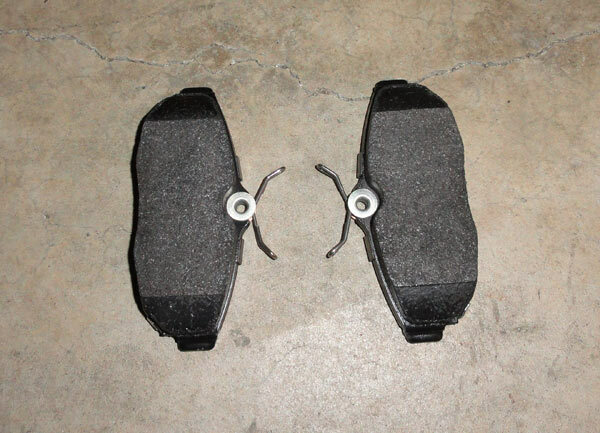 The new Brake pads for the rear. Jack the car up and take your wheels off. 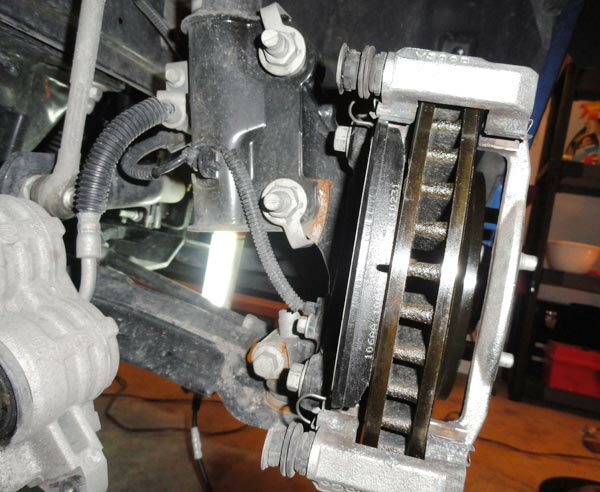 If this is your first time to have the rotors off then you need to remove the factory metal retaining clip. Just use a thin blade screwdriver and get under the clip and twist it until it pops off. 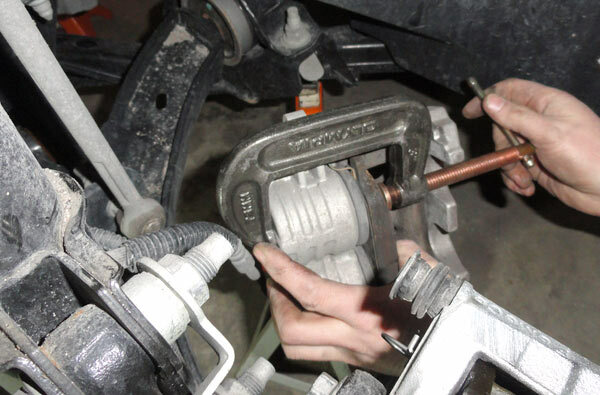 First start with pulling the caliper off. 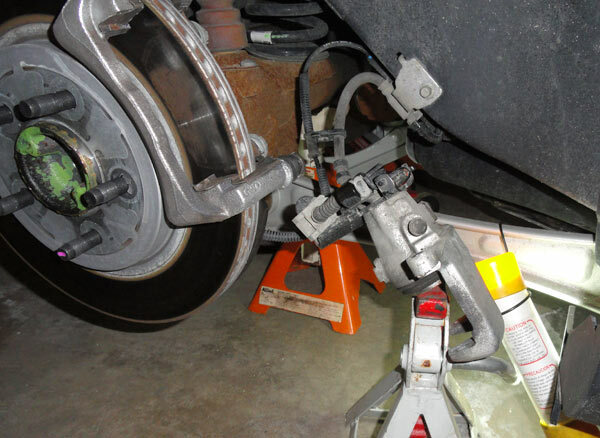 Set the caliper on a jack stand. Do not let it hang by the hose! 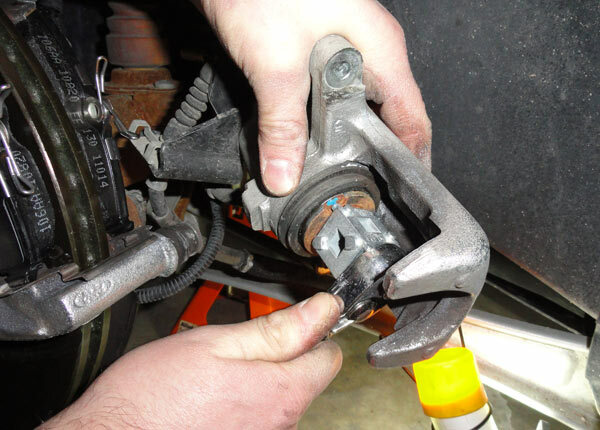 Or if you are replacing the brake lines then go ahead and pull it off completely. Next pull off the bracket. 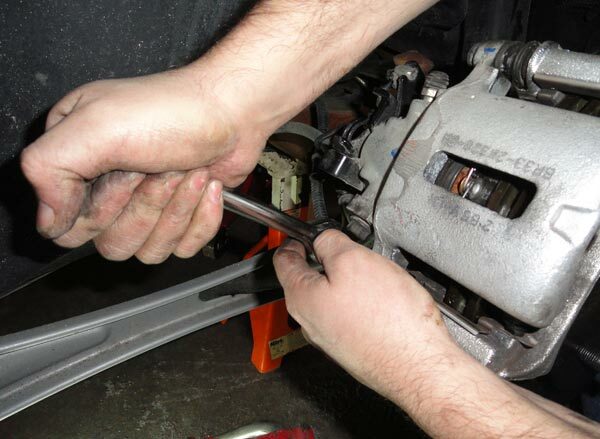 Before you can put it back together you need to push the piston back in. 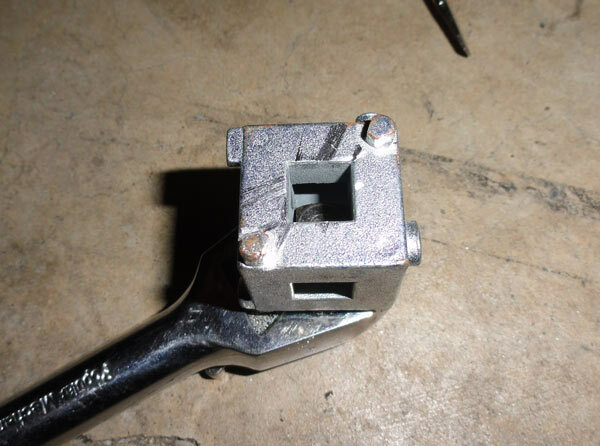 Use a C-clamp on the fronts. 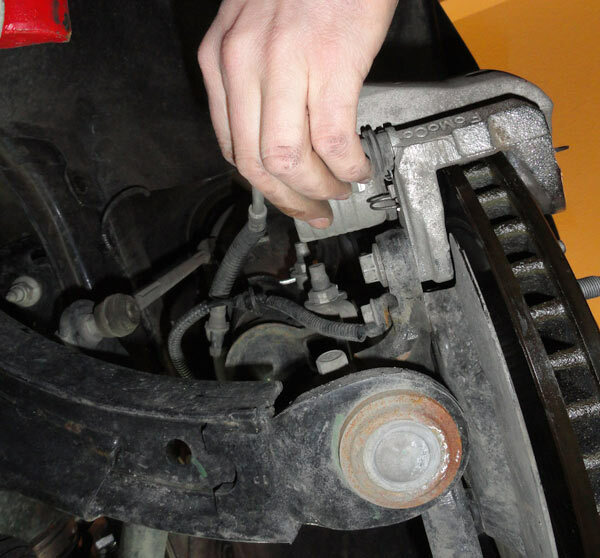 Utilize an old brake pad or other metal flat object to put on the piston. 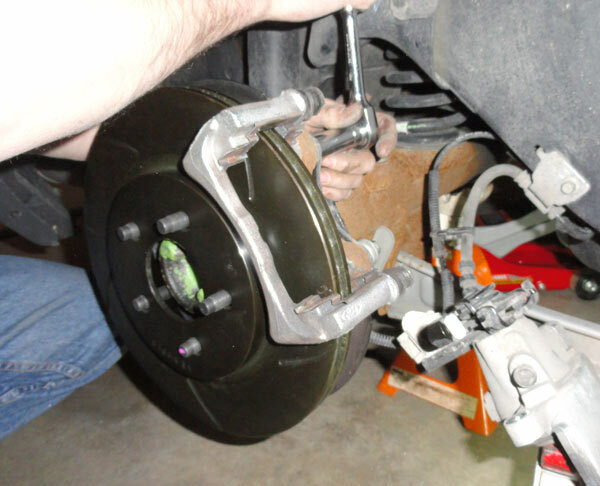 Stick the rotor on and re-attach the bracket and then set your new brake pads into place. 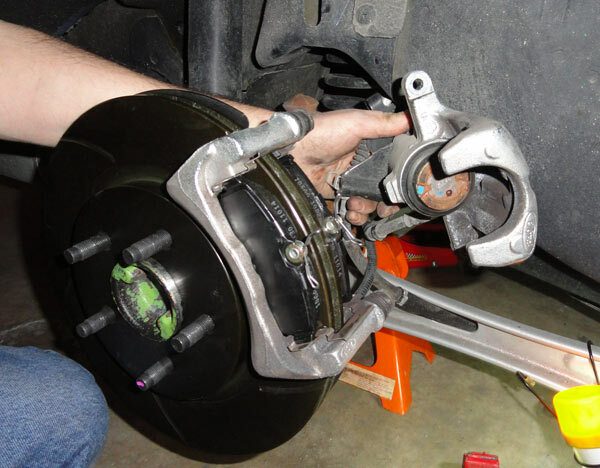 Now we move to the rear brakes.Take the wheel off and then the brake caliper. 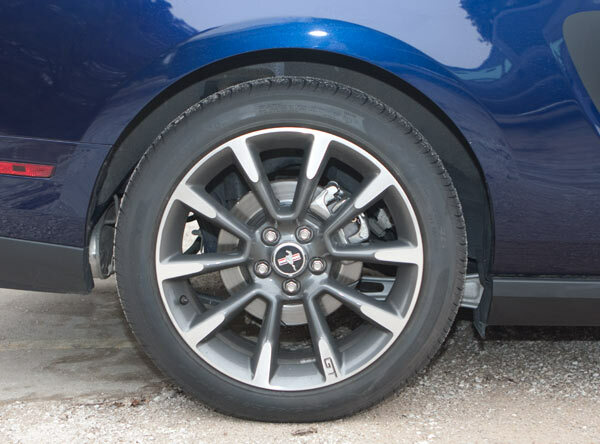 The rear caliper requires a special key in order to screw it back down. I picked this up at autozone. It did not fit perfectly so I modified it a bit to be the right shape. 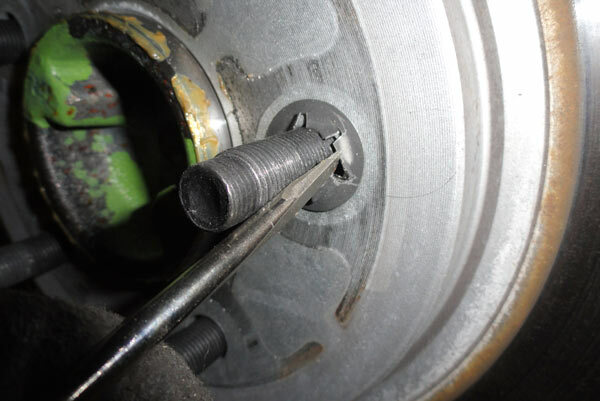 Fit it in the notches and then screw to piston down. Place the new rotor on the hub. Then bolt it all back up. Front Wheel with new brake rotor.